This one-off session involves you completing a lifestyle questionnaire prior to the session. It is vital for creating awareness of the areas that need attention. The session will be held over Skype and you will get a clear list of inspired action plans to empower you to fine tune your well-being. Includes a 15 min follow-up session a month later. This is the most effective way to implement and maintain lifestyle changes. I will meet with you once-every-2-weeks for three months (six sessions) with support in-between sessions. As well as completing the questionnaire, you will complete short worksheets each session to maximize your ability to sustain your new healthy lifestyle choices. Primal Health Coaching starts with food but branches out into all aspects of your life. We will focus on food, movement, lifestyle, and mindset. A competent Health Coach is like a catalyst for positive change in your life empowering you to get your health back and live your best life. My exercise motto is “Shock the body! Move the body!” No deprivation or grueling workouts…just a lot of movement with occasional strength training. Read my weight-loss story below to see why I can take you to the next level. I was an overweight child and teenager. I weighed 80 lbs. in kindergarten and 260 lbs. (with a size 54 waist) as an upperclassman in high school. Only by the providence of God did I have the opportunity to lose my weight.My parents futilely sent me to dietitians and weight loss groups, but I simply wasn’t ready. Despite being ceaselessly ridiculed at school (my first name is Albert which unfortunately was the portly title character of the 80’s Bill Cosby cartoon) I subconsciously didn’t want to give up my binge eating. It was my solace. Food was there for me. It didn’t talk back to me or reject me. 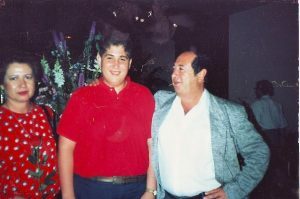 I loathed shopping at Big and Tall stores, seeing the looks of people when my parents would introduce me to them, and contemplating a future where I would never have a first kiss, much less experience intimacy with a woman. To be honest, I was a cutter and even contemplated suicide. I cover all of these in my Confessions of an Obese Child blog and podcast. In the last quarter-of-a-century I have maintained my weight through proper nutrition and sensible exercise (among other things). During that time I have obtained multiple degrees and worked in both ER and Urgent Care settings. My love of imparting nutritional information, coupled with my interested in instilling the youth of today with sound wellness principles, impelled me to become a high school educator, teaching the medical and nutrition classes. 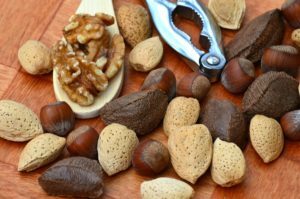 Nuts are pivotal in the Paleo world. han the previous one, the first time in nearly one hundred years. We must reach the children at their youth. My weight maintenance has also been spurred through extensive research as to the root causes of obesity and to the environment factors that predispose us to retaining fat. As a Certified Primal Health and National Health Coach Association coach, I have access to cutting-edge research to help you shed weight and optimize your potential. Just as important, I can empathize with your struggle since I was there, something that 20-something trainers or even middle-age marathon runners can’t do. You will be hard-pressed to find anyone who has lost the amount of weight I have and maintained it for a quarter-of-a-century. I have a 21-day Paleo/Primal plan that will incrementally take you from where you are to where you need to be. The plan covers easy-to-take steps on nutrition, exercise, and general mindfulness. You will not be inundated with unfeasible action plans and unrealistic expectations. To change your lifestyle we must slowly tackle the psychological obstacles that have been impeding your goals up to this point in your life. I partly created Naturopathic Earth to be your Coach Webster. I would like to be your mentor, counselor, and friend. Through my wellness articles and Confessions blog I hope to give all who have struggled with these problems a secure and non-judgmental sanctuary from which to share your stories as well as arm you with the tools to guide you on your path to optimal living. Subscribe to my Naturopathic Earth podcast here.